In just 16 Days we will be celebrating Fathers Day. To celebrate, we wanted to bring you a fab Fathers Day feature. We hope that you enjoy our feature and are inspired by some of our posts. We hope to bring to you some food ideas, some money saving ideas and some great gift ideas. To kick off our feature I wanted to share a fab gift idea which I know Ben would be delighted to receive this Fathers Day. Just in time to celebrate the World Cup, I bring to you the amazing idea of Your Sports ID. Your Sports ID has been created for football fans and players alike. Your Sports ID ensure that they provide high quality, great value footballs and official club merchandise to their customers. With over 26 footballs and a number of other football items to choose from there's something for every football fan on Your Sports ID's site to choose from. Ben is a massive Manchester United fan, he has managed to watch home games, go and see testimonials and even manages to go for tours up in Manchester. Ben adores Manchester United and the perfect gift for him to receive this Fathers Day would be something related to Manchester United. 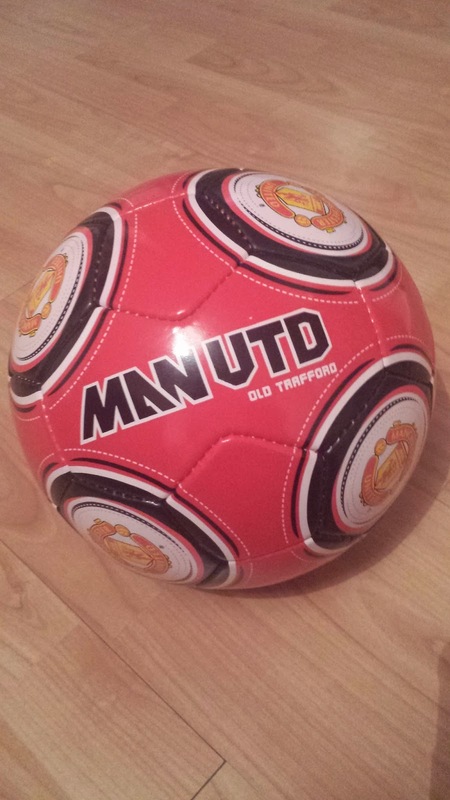 As soon as Yours Sports ID got in touch with me to ask would I like to review one of their products, I knew exactly what Ben would like to receive as a gift - a Manchester United Football. 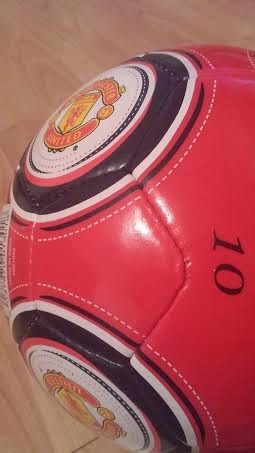 Upon browsing Yours Sports ID website I found that I was able to choose from 2 Manchester United balls. I was able to choose a plain logo themed one or one which had logos and signatures on. I decided to choose the plain logo themed one as I thought Ben would enjoy the style of it more and he would be drawn to the personalisation more. Once I had chosen the ball I was able to choose to have the Ball personalised. I instantly knew what I was going to have. I decided to go for Bens surname as well as his favourite number, 10. I was able to input these details easily on to the website and I was also able to choose what colour I would like the writing on the ball as well as font and size. The process was extremely easy and the website was simple to use. Once I had checked out, I waited for the ball to arrive. It arrived in good time and was packaged well. Yours Sports ID do not charge any extra for the personalisation of the ball which I thought was brilliant. The ball was reasonably priced at £8.95 and shipping cost just £3.50. Priced at just £12.45 I believe this is a great gift for any footy loving Dads this fathers day. The gift idea is unique and simple however it will not break your bank balance and you know you will receive a good, quality item. My hubby hates football!! 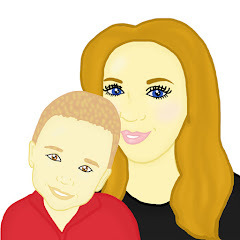 It me and my daughter that love it ..... she would LOVE this as a gift!! Liverpool for my hubs, West Ham for the boy! it's a nightmare in my house!!! That is a really good price actually. Hope he likes it! That's a good price for football fans. Unfortunately my husband doesn't like football at all!